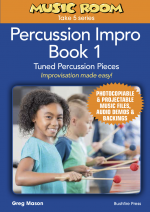 5 Easy Improvisational pieces for tuned percussion written by Greg Mason. From the Music Room Take 5 Series. Suitable for students in lower to middle primary. 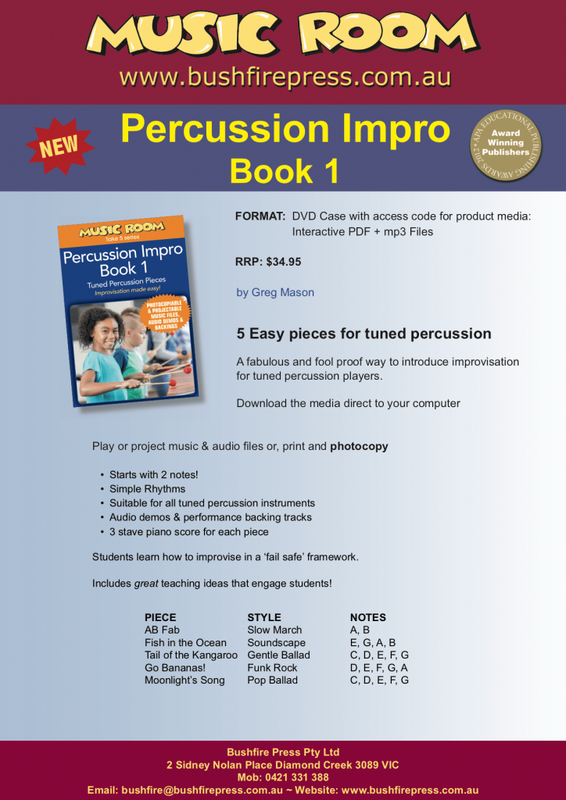 This fantastic resource contains 5 varied pieces suitable for all tuned percussion instruments. It comes with audio demonstrations, performance backing tracks and a 3 stave piano score for each piece. Your students will learn to improvise in a ‘fail safe’ framework! This product is available via instant download. It contains an interactive PDF, along with all MP3 files. Already purchased and have a redemption code?